That said, every prominent minor character should have an arc. Just not a full arc. Major characters—your protagonist for sure and maybe a few others we’ll discuss in just a sec—get major arcs. But minor characters get (of all things!) minor arcs. With that in mind, the antagonist’s will always function as a reflection of the protagonist’s. It is his similarities, as much as his differences, to the protagonist that defines their relationship. But the image is reversed. As a result, the antagonist’s arc will often be the opposite of the protagonist’s. If the protagonist is following a positive change arc, the antagonist may be following a reflective negative arc, in which he fails to overcome a similar Lie and ends up destroyed instead of saved—as does Inspector Javert in Victor Hugo’s Les Miserables, who follows a disillusionment arc. He starts out with a mercy vs. justice Lie similar to Jean Valjean’s. But unlike Valjean, when Javert finally faces the Truth, it destroys him. Tell me your opinion: Do you any of your minor characters have prominent character arcs? In the real world, people aren’t as different from one another as can be common perception. There’s also neither the amount of mystery and interest in it as art and literature make out – not even remotely. Human commonality is what makes fiction work. But it’s our differences that make it interesting. True, difference is essential to art, however it’s an undeniable truth also that the best of art derives from sincerity; from showing and telling “actual reality”. Depressingly, and brutally reality is uniform; that’s why the same rules have to be applied to everyone – everyone has to have a job, everyone has to pay for their house, and everyone has to speak from the same script…. The closer you get to reality, the more you realise how hard it is: repeatedly telling stories, and yet staying true to reality. This series (of series?) has been SO helpful to me in figuring out a few things before getting back into my main WIP. To answer your question, my protagonist undergoes a (mostly) positive change arc. The antagonist (also my impact character) has a flat arc, as expected. Two of my main supporting characters have positive change arcs, facilitated by my protagonist, and integral to the overall story. Two more minor characters have minor positive arcs and while largely tangential to the story in this novel, they set up integral sub-plots for future novels in the series. One of those has a negative arc in the second book. Nice! I love that you know the intricacies of all your characters’ journeys. I can sense the richness of your tapestry all the way from here! Only arc the ones you want your readers to invest in. At least, that’s my approach. I scarcely name minor characters. Unlike the majors, to me they don’t learn, so there’s no true arch. Good rule of thumb. And not naming inconsequential characters is a great way to keep them out the readers’ way, so to speak. Your reaction to the very idea of developing full arcs for all minor characters–“”You’ll go bats”–speaks for me. I am basically a pantser writer, in other words a romantic. As such, I operate on the assumption that a story grows like a plant, rather than being assembled like a clock. I want the arcs to be organic within the story, to emerge as events unfold. Sometimes, after time has passed, I am able to see more clearly whether the arc process has actually taken place effectively. But I now make sure to get an “expert opinion” before assuming I’ve got things right. I suppose it IS less bat-inducing for a pantser–at first. But after time passes and the smoke clears, the bats can definitely come home to roost. The pantser is pleased with himself and what he’s accomplished, operating on what he “feels” as the story advances. But the cold, clear light of day does not always reveal what seemed a done deal not so long ago. And when doubts are confirmed by an outside editor (who isn’t given prompts beforehand), then it’s time to get back to work. Gotta love objective readers. All their sensibleness can be downright annoying sometimes, but they make us and our stories so much better! “Pantser.” That’s a new term for me. Is it related to “flying by the seat of your pants?” Because if it is, I can *completely* relate to your description there. “A story grows like a plant.” I like that image. That’s pretty accurate to how I write, anyway. In one story that I’ve been working on, I’ve described setting certain plot points and character development points as “planting seeds for future use,” and then I occasionally check on its progress as time goes on, adding a little more “growth” to it. I agree to the thought that there should be limits to character arcs based on how many major/ minor characters you have. I know epic fantasy will have huge cast lists and each character gets so much of the spotlight…. I’m still reading the Memory, Sorrow, and Thorn trilogy by Tad Williams, currently on the last book, and I love it but mannnn, it has taken a long time to get here! I’ve never ever in my life had to quantify the length of time to finish reading a book in *years* of all things. @[email protected]; It’s worth it so far (I think), but I don’t know if I’ll ever read another epic again. The ‘planting seeds’ analogy: that’s where the best art derives from. There’s no payoff like when a reader respects you through their having recognised your doing this. Yep, “seat of the pants” is the origin of that term – the idea being that “pantsers,” who prefer not to outline ahead of time, like to just sit down and write “by the seat of their pants”! My protagonist is a 45 year old woman, struggling to come to terms with some issues from her past. One of the minor characters is her teenage daughter, who is beginning to be confronted with similar issues (that the protagonist faced) in her life. The daughter’s arc is in the background but is a fairly full arc, as her character development is revealed in snippets throughout the story. 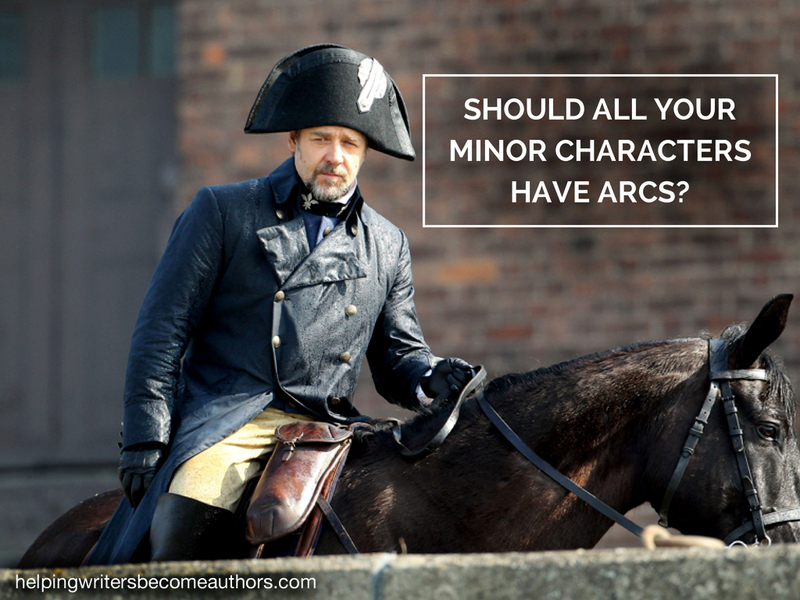 But my mentor character (another minor character) doesn’t really have a clear arc – is it important she has one? Mentor characters typically (but not always) follow a submerged flat arc. The arc is submerged in the sense that about the only thing that needs to be obvious to readers is that the mentor has a grasp on the Truth the protagonist struggling to find. Oooh, that’s helpful! I think I may have achieved that, but will work on it some more. Thank you! In my current project my MC is fighting against tyranny and has the flat arc, that affect positive changes in tho another characters: his sceptical sidekick and another character, who begin in antagonistic way but then changes her mind and sides with protagonist. Also there is antagonist whith negative arc. And I have one more character with positive arc: it is protagonist’s father figure, who is OK with protagonist’s Truth, but not OK with him acting on it, because he has his own Lie, kinda parental stuff, like “his kid can only be safe under his control, so he should not be allwed to act on his own, especially not to go around and save the world”. This Lie has nothing to do with the main conflict, but I believe that still connected with the main theme because this character is sort of tyranyc himself. Nice! It’s always amazing when all the minor character arcs end up supporting the protagonist’s arc (such as that of your protag’s father). The overall affect can be incredibly strong and layered. Arcs come in different sizes? Characters can have more than one arc? You make me so happy. I needed a little validation of my esoteric ideas this feels-like-Monday morning 😀 Thank you for bringing up some important points in this article. Keep writing! I think we sometimes view stories as black-and-white, either-or propositions. But even with the “rules,” there is *so* much wiggle room. The basic idea of my trilogy is the Native idea that everything is in relation, so of course I have many characters, many arcs and they all intertwine. Took me a lot of work to figure this out, and I’m still working hard on keeping clear that this story IS about my MC. I wrote the story like a pantser, I deconstructed it many times, tried to figure out clearly what every arc is about and how it connects to my MC’s arc (this was/is more of a plotter’s work) and then reassembled it into a more cohesive story. To me, deconstructing it was essential. Writing the story as a pantser gave me the central core of it, but then I needed (and still need) clear mind to weave all the arcs together in a comprehensive way. Sort of like outlining after the fact, eh? I see an interesting relation between the flat arc and other arcs here. If one of the qualities of the flat arc is that it influences other characters to change, it seems logical that a positive arc protagonist should have a flat arc side kick, mentor or similar that will influence them to go positive. And the same should be true for a negative corruption arc: that there is a flat arc character but that character believes in a lie instead of a truth, and they influence the protagonist to go negative. I guess disillusionment and fall arcs might also be influenced by flat arcs. Or, what do you think? Am I getting entangled here? It would be interesting if you had any articles on arc interplay! Excellent observation! 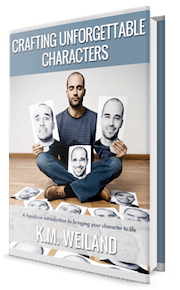 The “flat arc” character in a positive-arc story is the “impact character.” More on him here: The Impact Character: Why Every Character Arc Needs One. I just had a thought about having more than one character arc for the same character. And of course, we’re also able to deal with different problems depending who we’re with. If I wanted the same character to have two character arcs in the same story, I might find two groups of people around the character, one for each arc (with impact character, allies and foes for each group/arc), and the character would deal with different problems depending on what group of people he interacted with. For instance he has a flat arc towards his greedy money grabbing father and a positive arc towards his neglected girlfriend. My character Amelia has now gotten over her lack of self-confidence and learned to trust her instincts, and is starting to think that Vance might be her dream guy. Can that be an arch? He might be the sidekick, since he’s often the one who participates in her adventures, but he did help train her and has helped her when she needed it. If I understand Katie correctly and your character is following a positive arc, she would “get over” her lack of self-confidence in steps with relapses. She would only truly be self-confident just before or in the climax of your story. If she follows a negative arc she might never be self-confident. You might also want to think about wether Vance being her dream guy is the thing she needs or the thing she wants. You say “no arc can overshadow the protagonist’s primary arc”. If the main character is NOT the protagonist, but the protagonist is the impact character, isn’t the main character’s dramatic change arc going to overshadow the protagonist’s flat arc? Yes, I should have clarified that. In most stories the protagonist will be the main character. When that is not true, the protagonist’s arc will be a direct impact on the main character’s–whose arc will be “bigger” if only because of its nearer proximity to the reader. 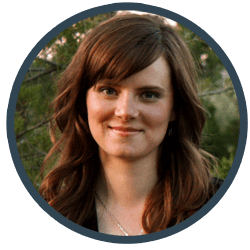 My protagonist and MC are split, so this is good to know – thank you for clarifying! My antagonist isn’t onscreen until the climax, and the mini antagonists aren’t big enough characters to really have full-blown arcs. Would it make sense to just give my antagonist a thematically pertinent goal, conflict, and resolution instead of a full arc? Great stuff. I’m not a very creative person. I’m just an isolated outcast who reads a lot. 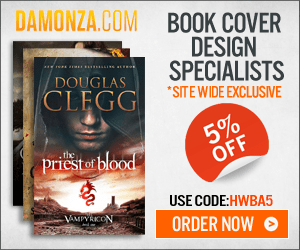 Your articles enhance my reading experience, and give me the skills to tackle more challenging authors. (One goal is climbing Joyce’s “Ulysses” without losing my mind to frostbite.) Thanks for sharing so much for free. It shows you’re not just a good teacher, but a good person as well.